As darkness descended and the night began Scott Stulen, the curator of the original Cat Video Festival from the Walker Art Center in Minneapolis, began the evening’s proceedings and the collective laughter began to roar out. We all knew, as Stulen comments in this PBS review that ‘It’s OK to like this’ and whether it’s art or not was not the point at all. What I appreciated so much about this event is that it began with a formal institution like the Walker Art Center responding to a private and hidden fascination with cat videos. They took a risk and treated the genre seriously, engaging the public in a dialogue, curating a compilation of the material, and in the process created a popular festival model that is spreading. 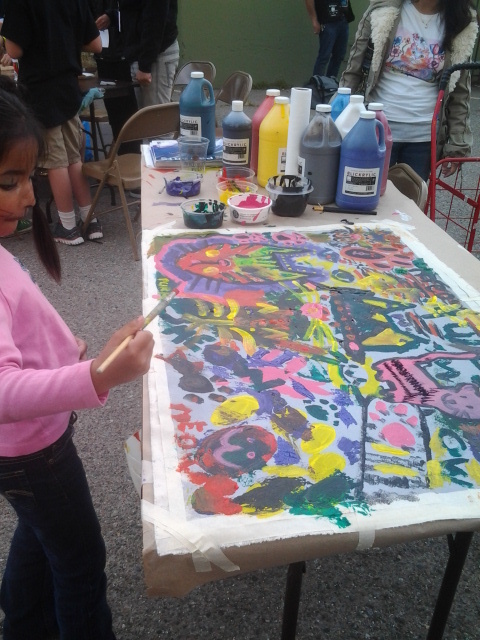 People love to share, celebrate and express their creativity, and they love to do it in large groups in public spaces. 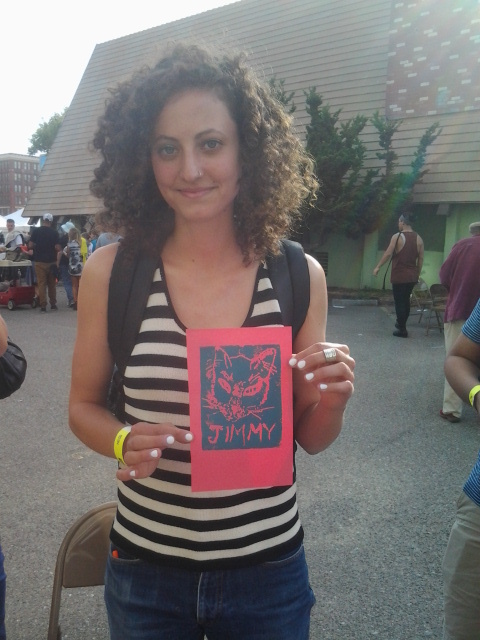 My friend Rtystyk Shavers was such a great partner on the day and taught me so much about festival presence. 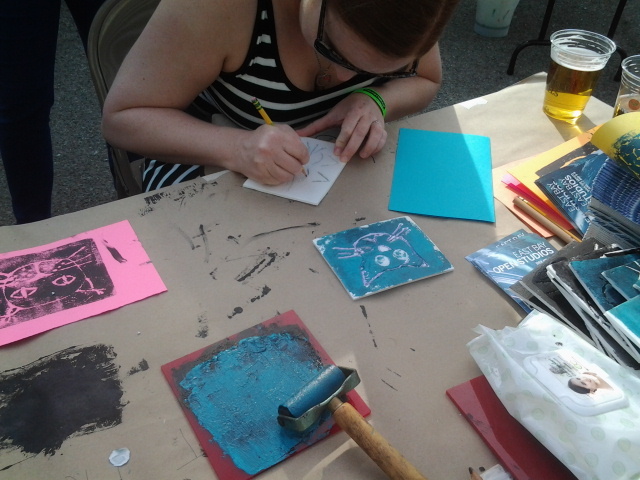 We were manning our booth, promoting East Bay Open Studios for ProArts and doing ‘cativities’ for festival goers young and old. What a day! 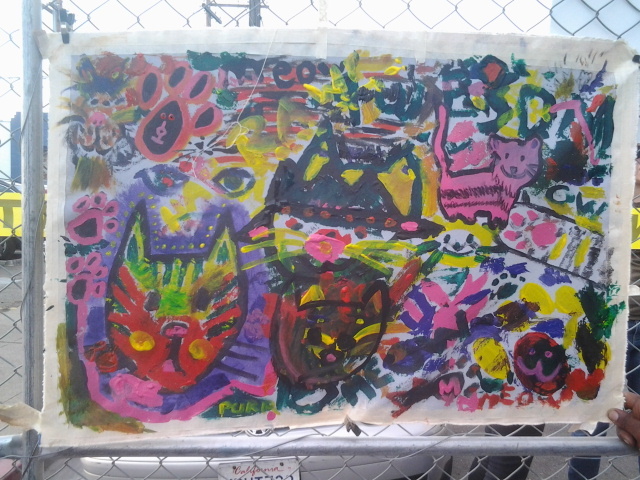 He is a brilliant creator of audience participation and set up a table where everyone could join in and contribute to a funky cat painting on canvas. 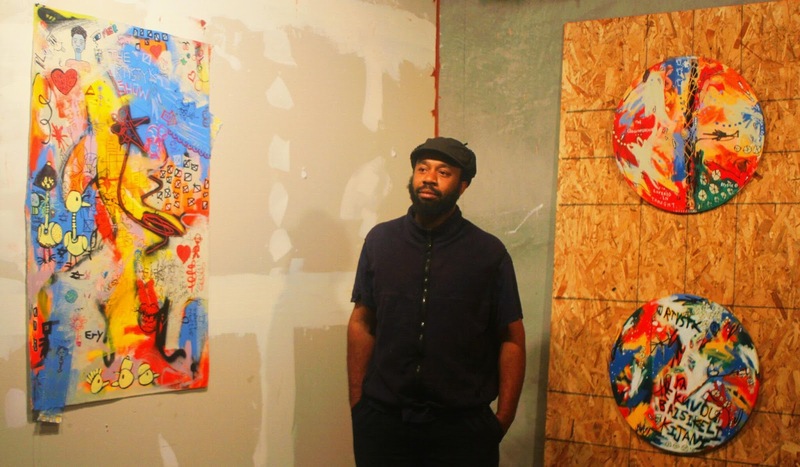 You can see some of his own amazing work here, and catch him doing more live painting at the Oakland Art Murmur as well as the Malcolm X Festival coming up in Oakland at San Antonio Park May 18th. This painting was created by many, many hands and the calm, smiling guidance of a very generous artist. 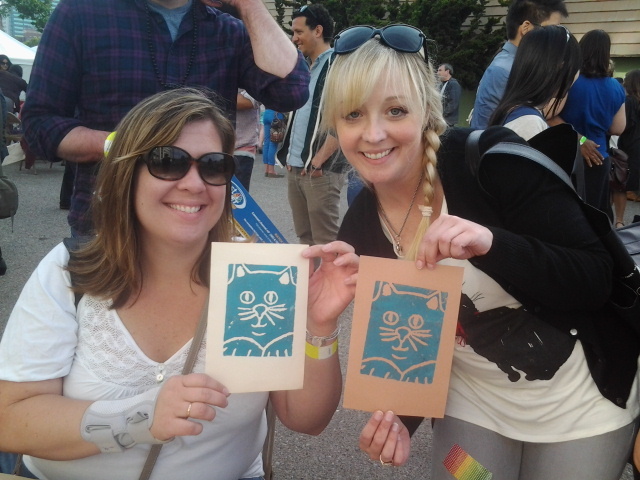 The other ‘cativity’ was one I’d learnt as a volunteer at SFMoMA, making block prints from cheap styrofoam. 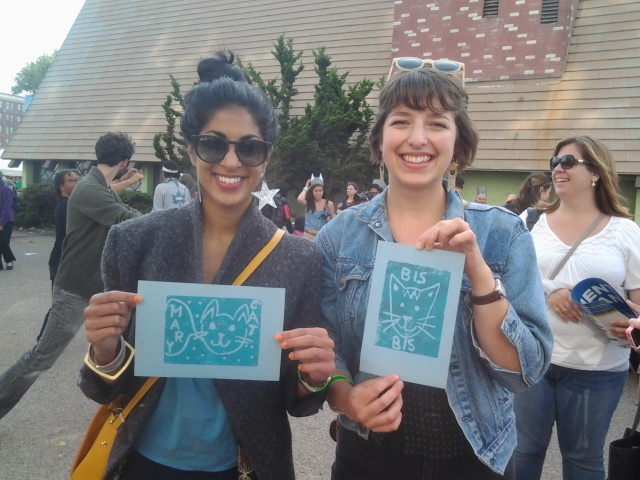 If you draw a design and then go over it with a sharp pencil, you can create a printing block that lasts for a few prints, like these happy festival goers. According to NPR 6,000 people showed up and the day is expected to raise about $50,000 for the East Bay SPCA. Let’s hope they do it again next year and if you want to check out the videos again, the Walker Art Center has a dedicated youtube channel for you! This entry was posted in Art Journal and tagged Art journal, California, Cat Video, Fran Osborne, Oakland Internet Cat Video Festival, Rtystyk. Bookmark the permalink.